My love for balsamic vinegar is endless. It began in the dining halls of college. There I was, plate full of salad greens and vegetables, eager to put the last meal of free pizza and cookies behind me, when I glanced upon the selection of dressings. My options were lumpy ranch, congealed caesar, and a fluorescent yellow concoction referred to as “dijon mustard”. I almost gave up and resolved myself to an entire food pyramid of carbs when I saw the bottle of balsamic vinegar, a gleaming beacon of untouched condiment that didn’t require refrigeration. I doused my greens and haven’t looked back since. Of course, my balsamic vinegar affair was just beginning. I became obsessed with balsamic reductions on everything from bruschetta to fish. 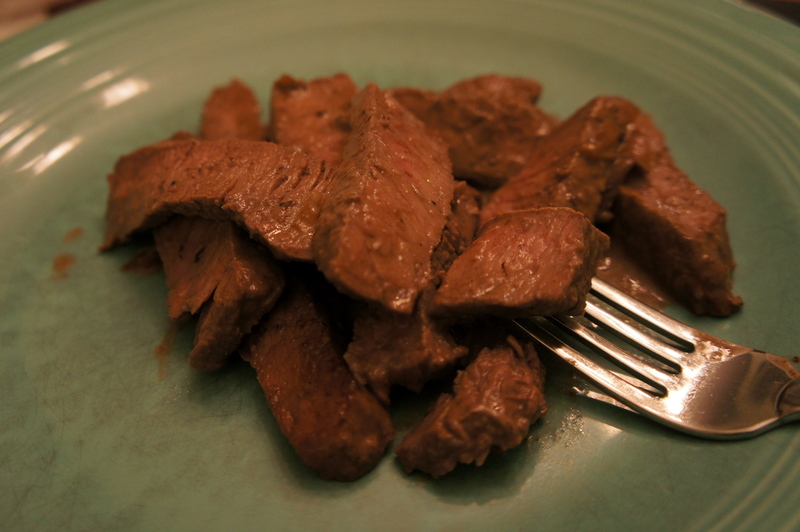 When I came across this recipe which combines steak, balsamic vinegar, and cream I think my heart stopped. It’s the ultimate sauce. I’m thinking of bottling it. Sorry dining hall dwellers, no sauce for you. Unless you refrigerate it yourself. Pat steaks dry with paper towels and season with salt and pepper. Heat oil in a large skillet over medium-high heat until just smoking. Cook steaks until well browned, 3 to 5 minutes per side. Transfer to cutting board and tent with foil. 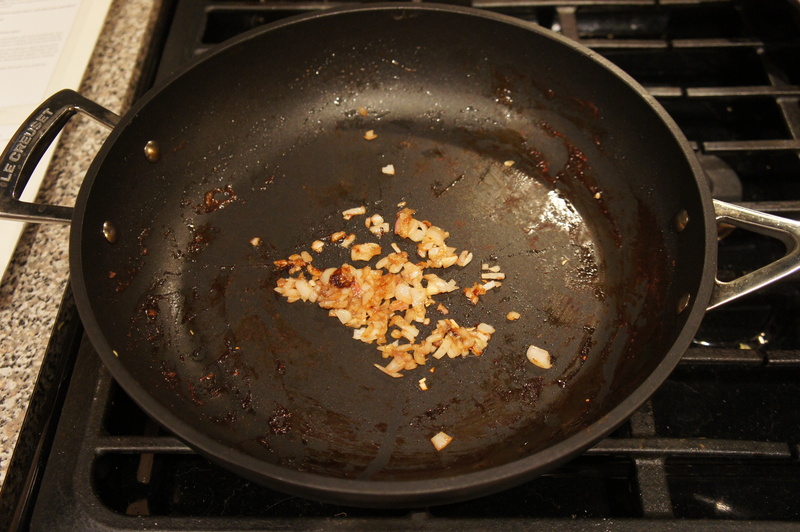 Add shallot to empty skillet and cook until softened, about 30 seconds. Stir in vinegar, scraping up any browned bits, and cook until syrupy, about 1 minute. Add cream and cook until slightly thickened, about 1 minute. Slice steaks and return to skillet. 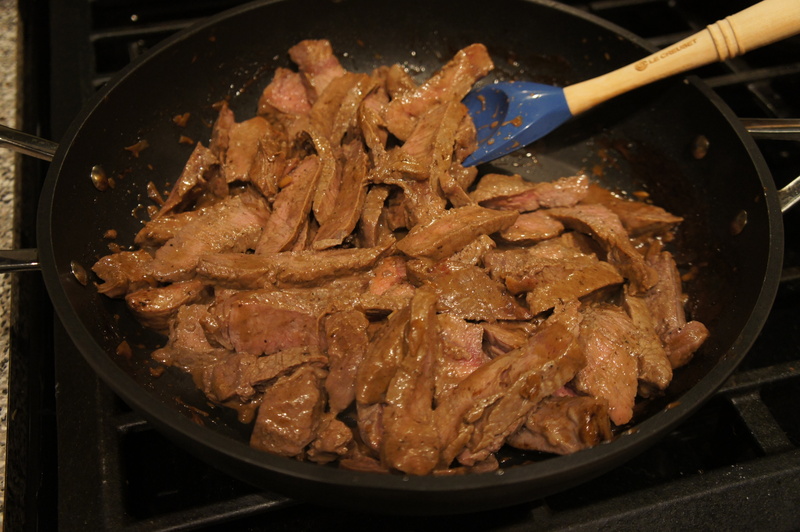 Stir until the steak is evenly coated with sauce. Serve.